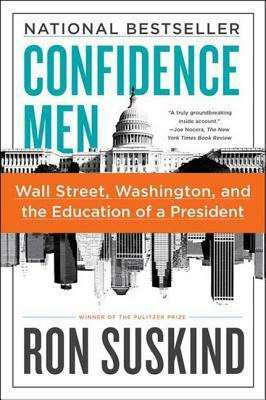 AcclaimedPulitzer Prize-winning journalist Ron Suskind, authorof the New York Times bestselling The Way of the World, The OnePercent Doctrine, and The Price of Loyalty, gives anexplosive inside account of an Obama White House overwhelmed by the globalfinancial crisis—and the political and economic consequences still being felttoday. Readers of Michael Lewis’s The Big Short, John Heilemann and Mark Halperin’s GameChange, and Andrew Ross Sorkin’s Too Big toFail will be riveted by Suskind’s illuminating,in-depth investigation of the financial meltdown. Rooted in hundreds of hoursof interviews with key members of the Obama administration, including thePresident himself, Suskind’s exposé offers aneyewitness account of the most momentous events in the history of globalfinance. RON SUSKIND is the author of The Way of the World, The One Percent Doctrine, The Price of Loyalty, and A Hope in the Unseen. From 1993 to 2000 he was the senior national affairs writer for The Wall Street Journal, where he won a Pulitzer Prize. He lives in Washington, D.C.